The latest instalment to the Bungo Stray Dogs franchise is now available for the United Kingdom & Ireland in two different ways! 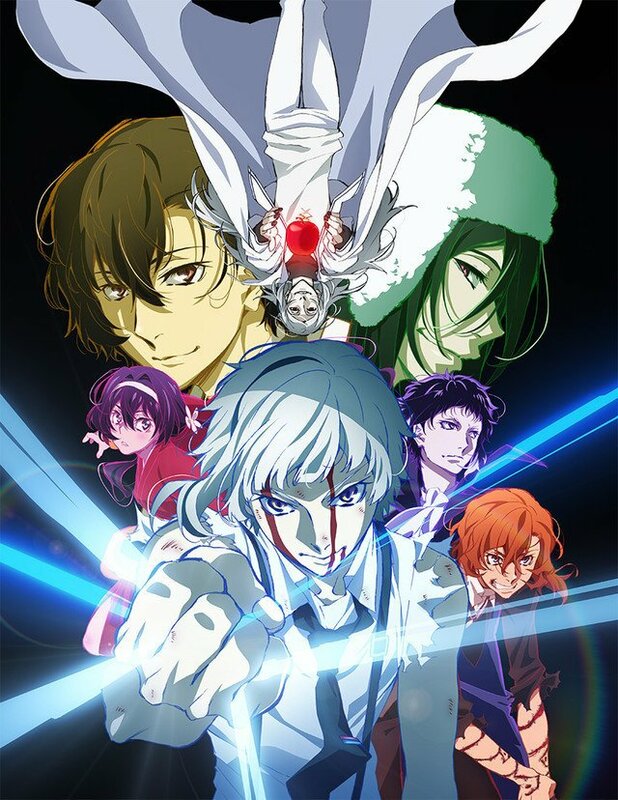 Bungo Stray Dogs: Dead Apple is now streaming on Crunchyroll in Japanese audio with English subtitles for Premium members starting 1st September 2018. In addition the film will also be shown at Glasgow Film Theatre as part of the Glasgow Youth Film Festival. It will be screened at 2:10pm on Saturday 15th September 2018 in Japanese audio with English subtitles. Six years have passed since the devastating “Dragon’s Head Dispute”, and over 500 people with supernatural powers have since been found dead in Yokohama. As The Armed Detective Agency is tasked with the mission to capture the mysterious character thought to be involved, a powerful fog overcomes the city. Takuya Igarashi’s film follows on from the events of the TV series Bungou Stray Dogs. Bungo Stray Dogs is available to stream on Crunchyroll in Japanese audio with English subtitles. Funimation have produced an English dub for both seasons of the franchise. A third season to the franchise has been green-lit since July 2018.
Credit to Jaysgba for discovering the theatrical screening. Kunihiko Ikuhara’s new anime series and the third season of Bungo Stray Dogs are coming to Crunchyroll as part of the Spring 2019 line-up.